The state of Georgia is one of the most fertile recruiting grounds in the nation, and it’s an important pipeline state for the Vols. In his first class as Tennessee’s head coach, Jeremy Pruitt singed just four players from the state. 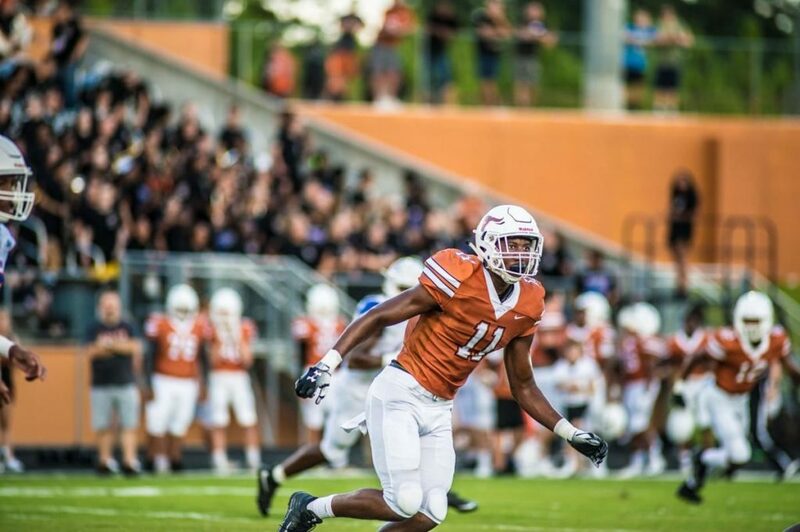 In the 2019 class, the Vols already have commitments from eight players from Georgia and could still add more. Webb, a 6-foot-4, 210-pound linebacker, plays for Lanier High School in Buford, Georgia and holds offers from at least 20 schools. That lists includes Auburn, Florida and LSU among others. LSU and Auburn both extended their offers in the last month. He’s ranked as the No. 237 overall prospect and No. 7 inside linebacker in the 247Sports Composite rankings for the 2020 class. He is also rated as the 25th-best player in the state of Georgia. Webb projects as a hybrid defensive end in college, and he has been an impact player for Lanier. A look at his film shows that he is an athletic backer and a force on the edge. He excels as a speed rusher and consistently gets around tackles. His bend as a pass rusher is next level, and he knows how to finish when he gets to the quarterback. Webb is a very instinctual player. He is good in pass coverage and does a good job setting the edge on the run. He can close down space well and make tackles. With good coaching, he can be turned into a force as an every down outside linebacker in the Tennessee defense. So far during his junior year, Webb has 33 tackles, nine tackles for loss, 6.5 sacks, 12 quarterback hurries, five passes defended, two forced fumbles, a fumble recovery for a touchdown, and a blocked punt in seven games according to MaxPreps. Last season, Webb totaled 39 tackles, 10 tackles for loss, three sacks, seven QB hurries, and two passes defended in 10 games. There is still a long way to go in Webb’s recruitment, but it’s good that Tennessee has gotten in on him early. They need to continue to build a relationship with him and try to get him to Knoxville on a visit. Jeremy Pruitt Confirms Trevon Flowers Out "A Few Weeks"